Hi All & Happy Holidays! We're only a few days from December & I'm so excited! 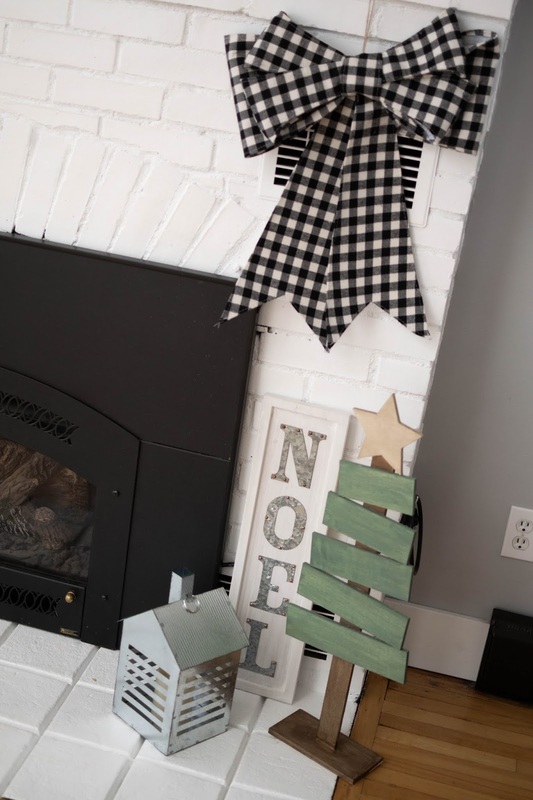 I've decorated our home for Christmas already and I thought it would be fun to share with you some of the decor! 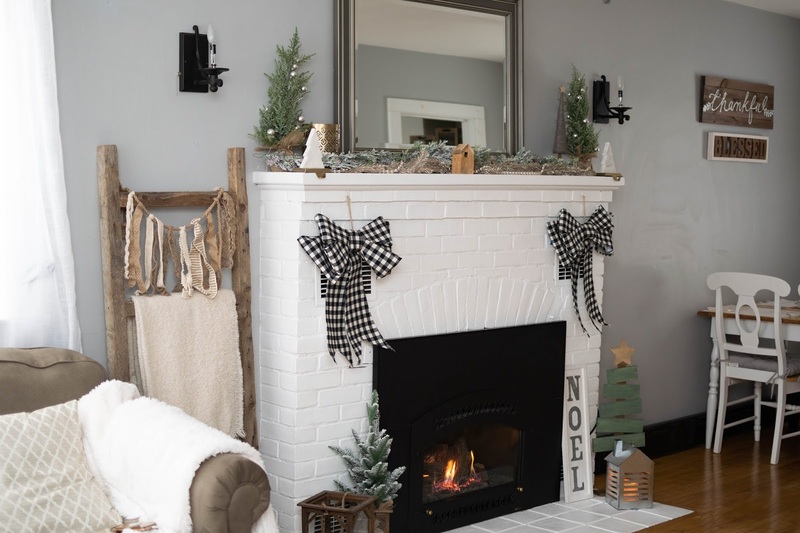 I was so excited to have a fireplace and mantle this year. Going from a condo with nowhere to hang stockings to this home has been so fun. I decided to first spruce up the mantle with some garland. 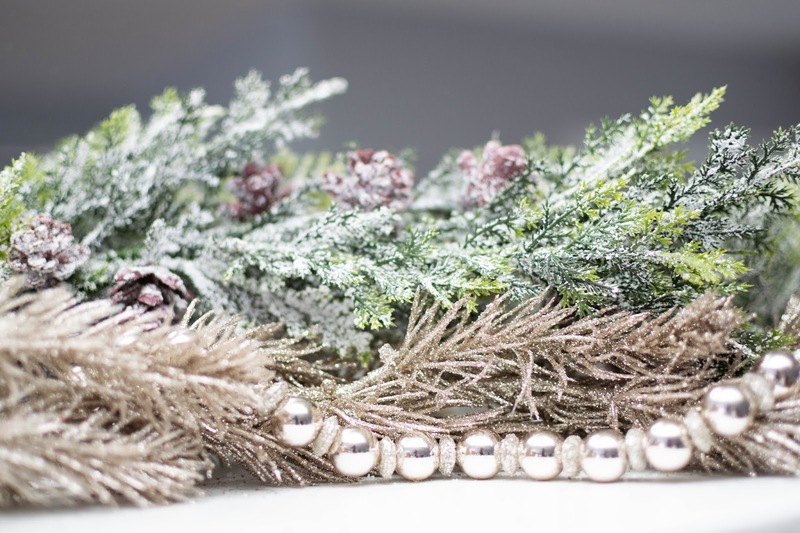 I picked up three strands of garland at Michaels craft store for under $30- I always wait until they have a sale or a 40% off coupon. I bought the flocked green one that includes some pinecones and then I got a very sparkly and very me branch looking one and then I grabbed some simple beads. 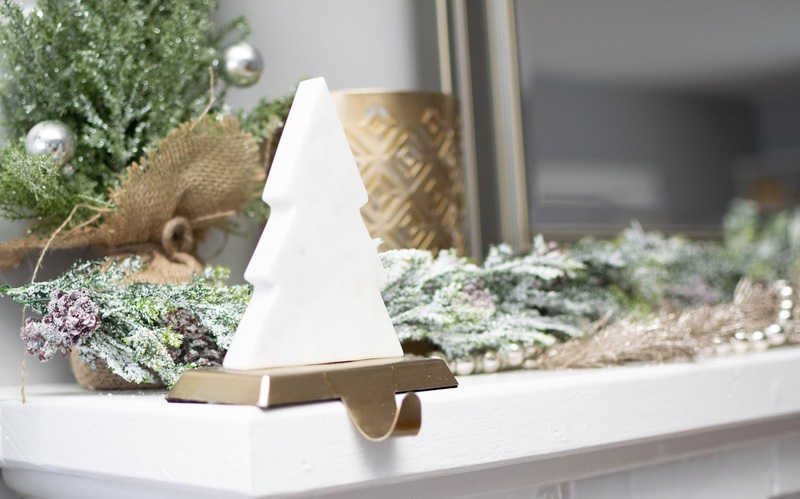 Layering these on a mantle adds great dimension and is so easy! After I was done laying the garland I added in a few knick-knacks I had laying around, like a little deer and tree. I like having things symmetrical so I also picked up two mini trees and added those to either side of the mantle- I think it adds some nice height as well as color. You can also find a few candles, and our stocking hangers up on the mantle. 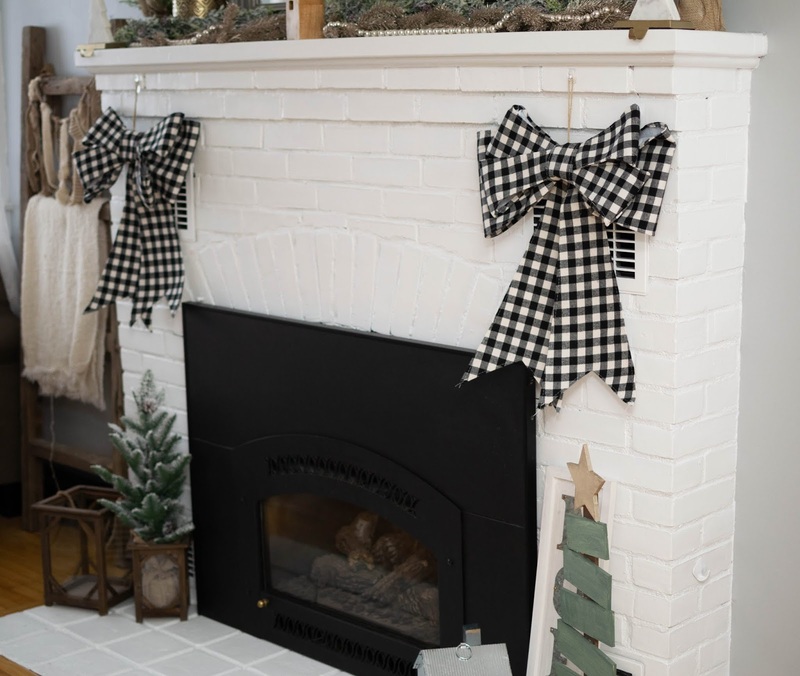 Onto the actual fireplace itself I decided to hang these giant checked bows I found at Christmas Tree Shop. 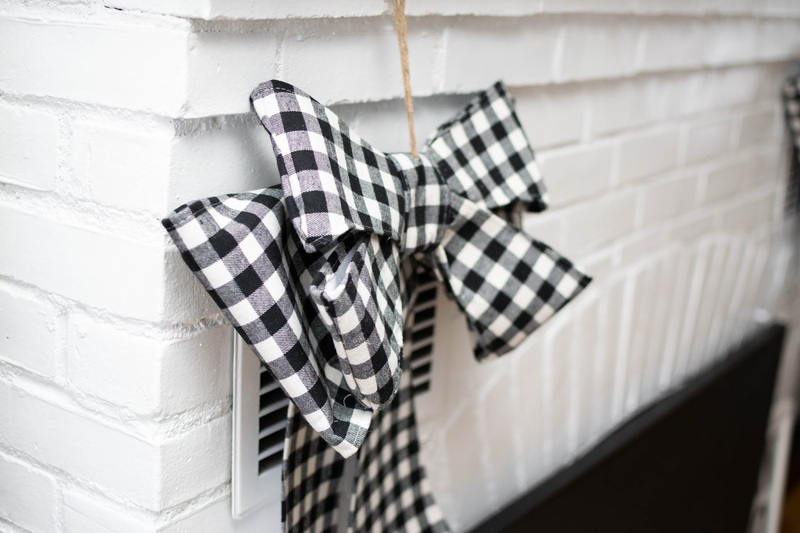 They added such a fun touch and were very affordable. I attached them with clear command hooks as well as some double stick tape to keep them in place. In front of the fireplace, I kept my wooden lanterns and placed a mini tree in one as well as added a metal lantern. I was feeling very crafty one day and actually painted that wooden tree on the right-hand side (which turned out pretty cute if I do say so myself!). 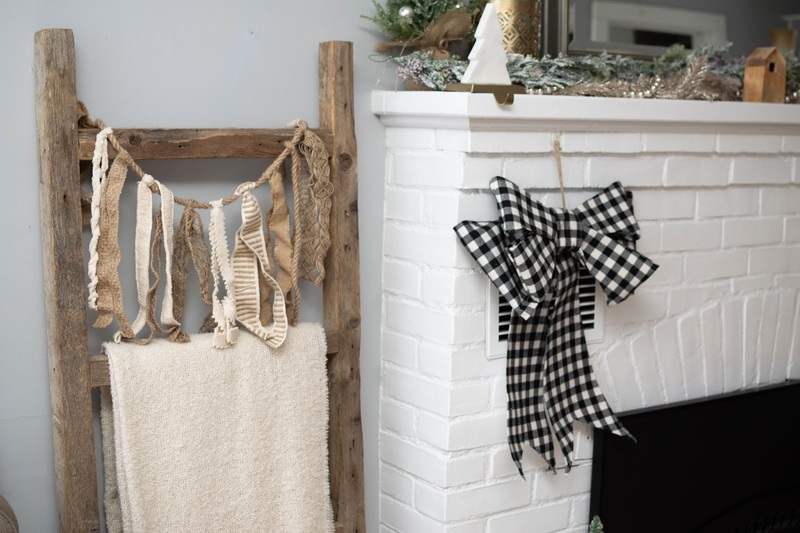 Before I forget to mention- the blanket ladder I also made and the garland on that is from hobby lobby. 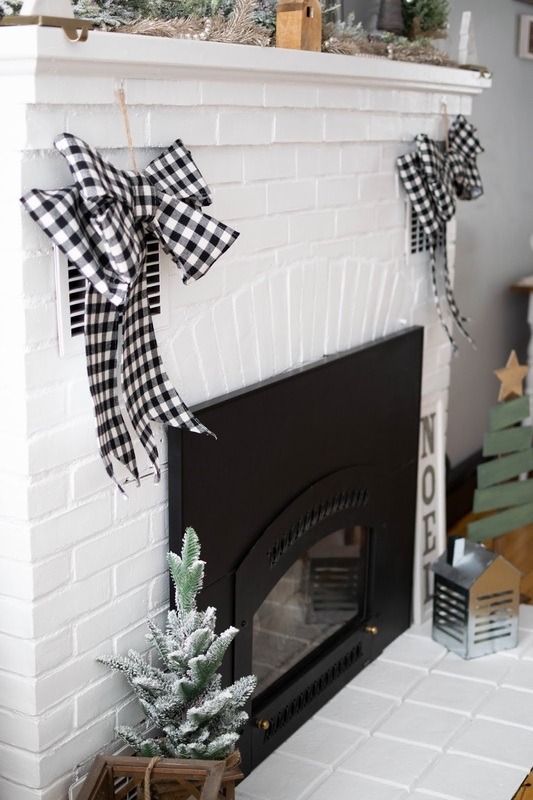 I love the Holidays because I think the decor is so cute! I'll share my tree and other decor with you in the next few weeks. I hope this gave you a little inspo!